The Business Communication course contains two components: I. Business English, and II. Problem-solving Approach to Writing Skills. The weightage for the first component is 50% and the second component is 50%. authentic materials to reflect learners’ needs and expectations. can develop strategies to enable them to take control of their own learning. The course is organized around ten broad communicative units: Achievement, Motivation, Communication, The Future, Challenges, Psychology, Creativity, Image, Responsibility, and Security. Each unit begins with an agenda which gives details of the language to be studied in the unit. This is followed by four main parts: Language focus, Wordpower, Skills focus, and Focus on functions. There is a review unit after every two units. Language focus presents and practices the target grammar in a context related to the general topic of the unit. It has four stages: an introductory activity, presentation of the target grammar in a realistic context, grammar analysis, and practice. Wordpower presents and activates a lexical set or semantic field related to the topic of the unit. At the same time it introduces a variety of strategies for organizing and learning vocabulary effectively. It has two stages: introduction of topic-related vocabulary and a follow-up practice activity. Skill focus has longer listening and reading texts, which provide exposure to the target grammar of the unit and develop listening, speaking, and reading skills. It has three stages: a preview to introduce and stimulate interest in the topic, a task (s) to complete while reading or listening, and follow-up. Focus on functions presents and practices basic key phrases which professionals need for socializing. There are two main stages: a range of possible exponents for students to identify, and controlled and then freer role-play. Focus on functions. These summarize the key language points from the book. The attached DVD-ROM includes video clips for every unit, with accompanying interactive exercises. The clips contain reports, interviews, and profiles that relate to the topic of the unit. The disc also has a selection of texts in the book accompanied by audio versions and dictations. These are linked to an interactive vocabulary list containing key words and phrases from the book. There are also grammar, vocabulary, and function practice activities. Harding, Keith, and Adrian Wallwork. International Express: Student’s Book Upper-Intermediate (with Pocket Book and DVD-ROM). Oxford: OUP, 2007. It is strongly recommended that the teachers follow the ideas for teaching as given in the teacher’s resource book. Students will be evaluated in terms of the skills presented in the prescribed book. Appleby, Rachel, Heidi Grant, and Tracy Byrne. International Express: Teacher’s Resource Book Upper- Intermediate (with video). Oxford: OUP, 2006. Harding Keith, and Adrian Wallwork. International Express: Class CDs Upper Intermediate. Oxford: OUP, 2007. The course concentrates on presenting the skills students need when they write in English in business situations. To listen, speak, read, or write, knowledge of English vocabulary and grammar is needed; but these aspects of language are not specific to business communication. Coe, Norman, Robin Rycroft, and Pauline Ernest. Writing Skills: a problem-solving approach. Cambridge: CUP, 1983. Students learn a lot by working together in groups to solve a problem or make a decision. Learners should share their knowledge, compare their opinions, and discuss their ideas in small groups. The instructions for each exercise in both the textbooks include suggestions about ways of working with the material, and the teachers can adopt or adapt those suggestions according to their own ideas and circumstances. A number of ideas for teaching are also given in the teacher’s manual. Students will be evaluated in terms of the skills presented in the books. Oxford Advanced Learner’s Dictionary of Current English. Eighth Edition. Oxford: OUP. Coe, Norman, and Robin Rycroft. Writing Skills: a problem-solving approach. Teacher’s Book. Cambridge: CUP. Leech, G.N., and Jan Svartvik. A Communicative Grammar of English. Third Edition. London: Longman. 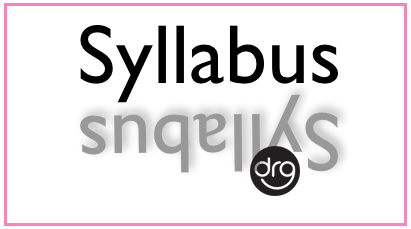 0 Response to "Complete Syllabus of Business Communication | MGT 205 | BBS 2nd year [4 Years]"